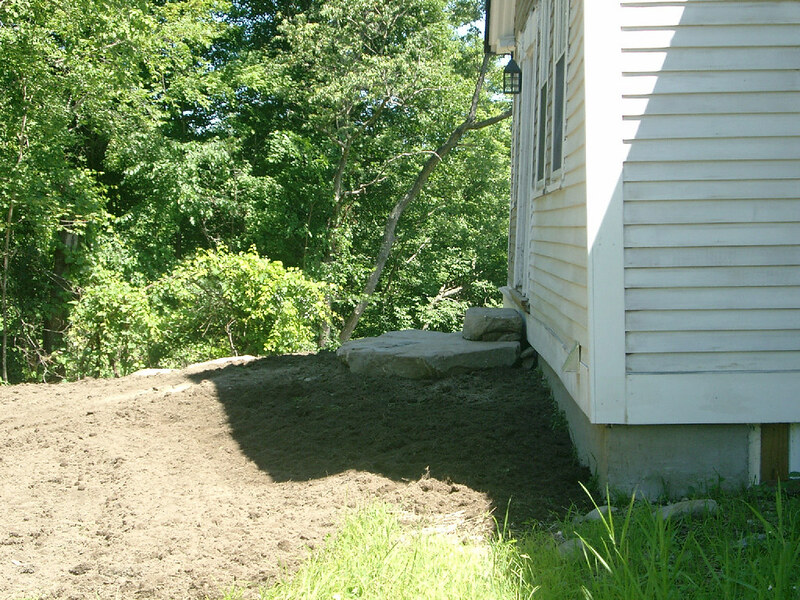 We’re now the proud owners of a front entry we can use! 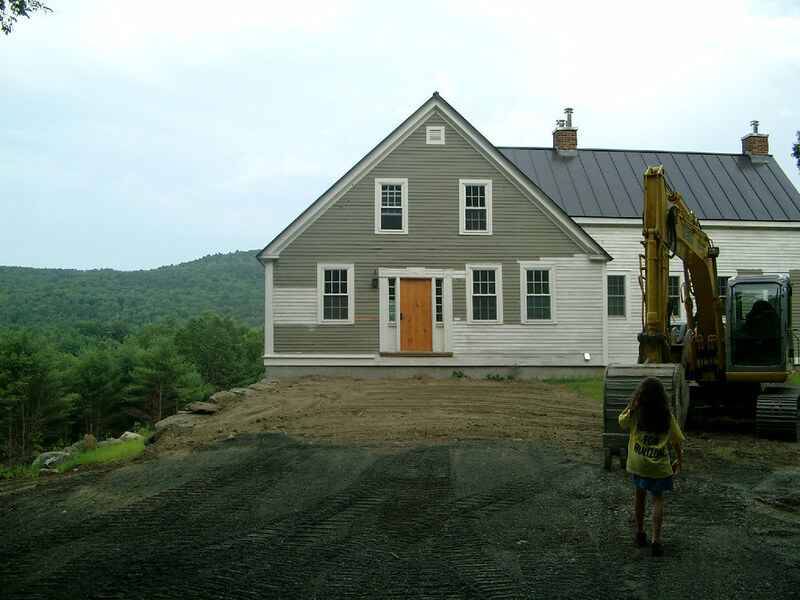 To back track a little…. 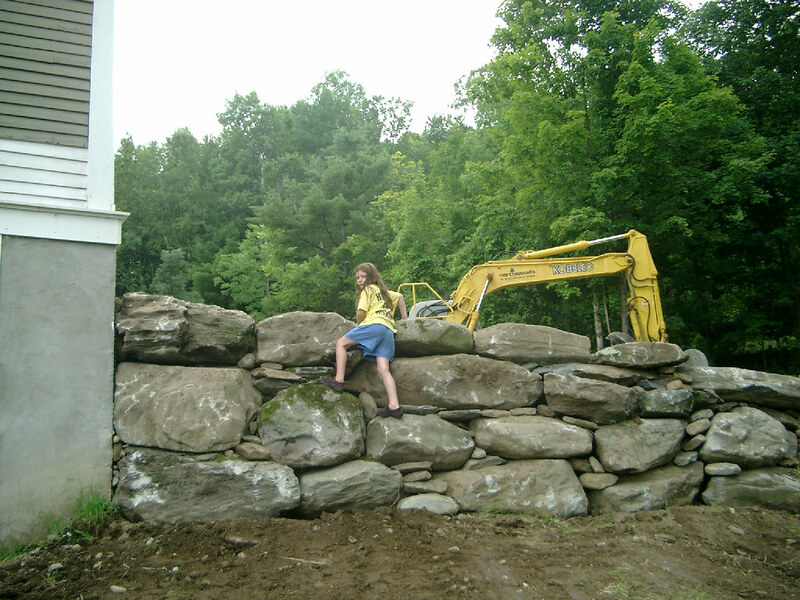 After the filter cloth, they proceeded to build up the wall. 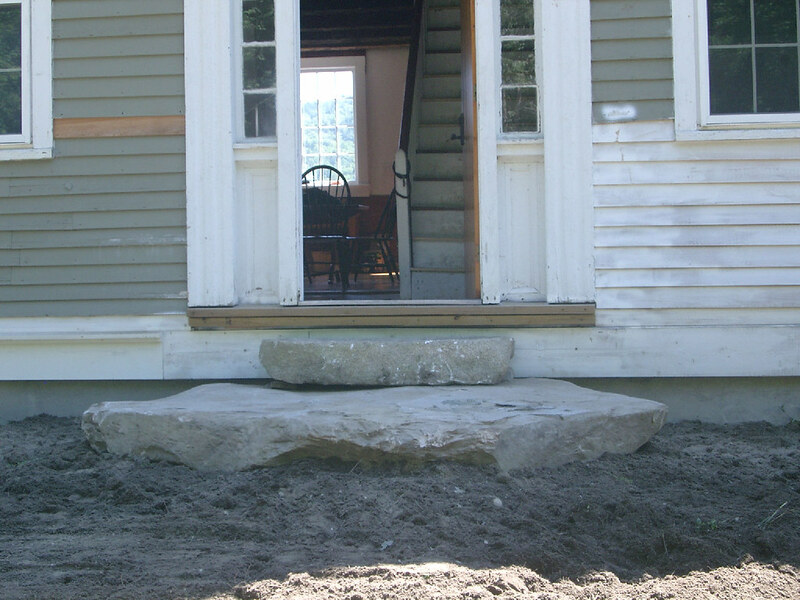 This morning, Norris returned to place the stone steps, to put some top soil down, and to smooth everything out for us. 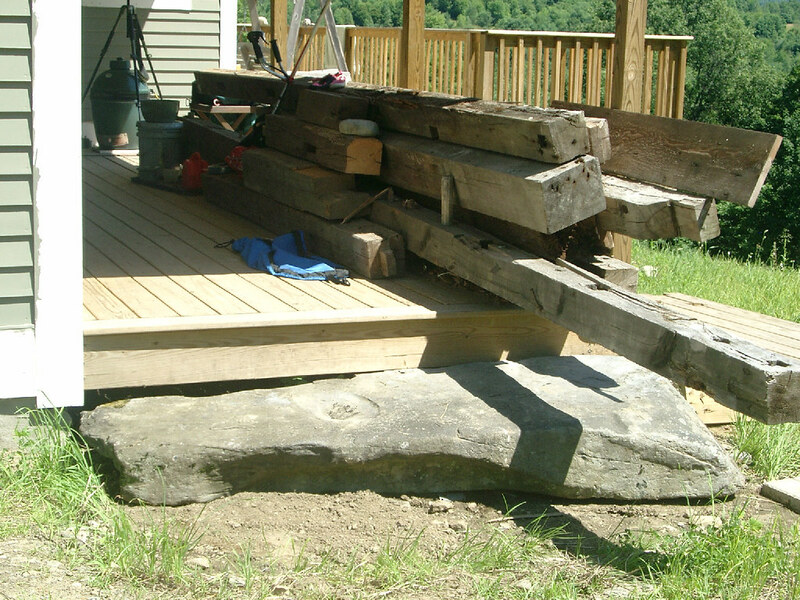 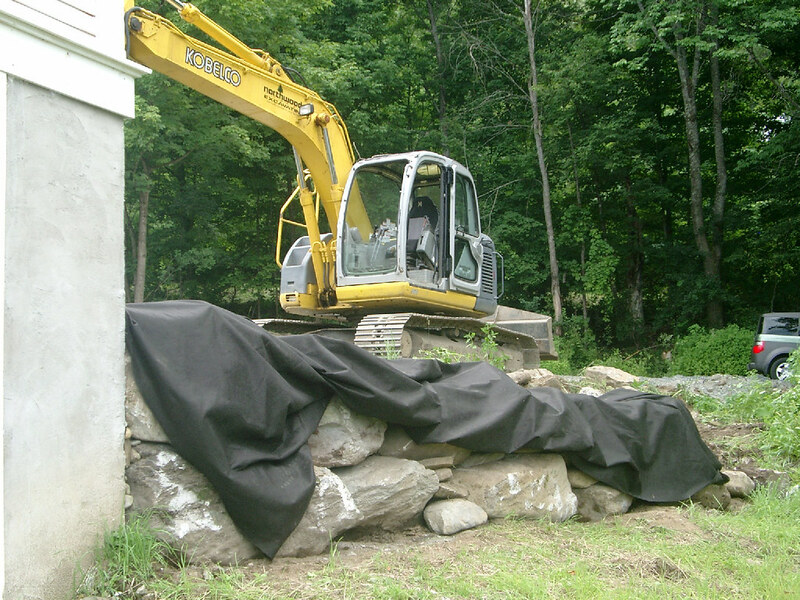 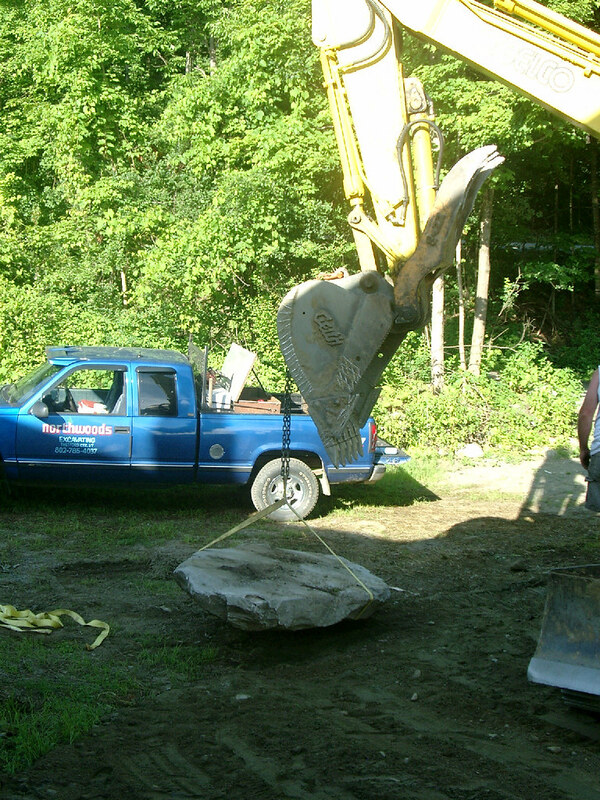 Norris piled up the rest of the big rocks around the property near the head of the driveway so that we can use them later on for other projects. 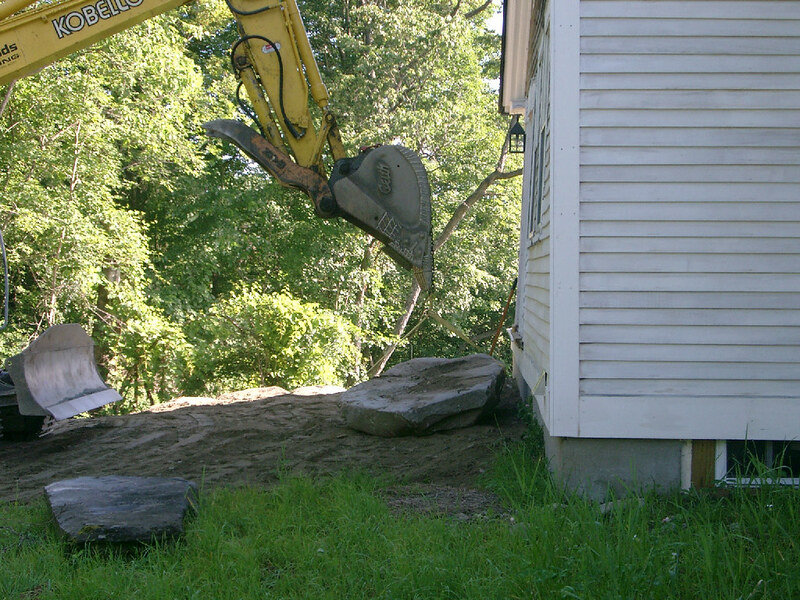 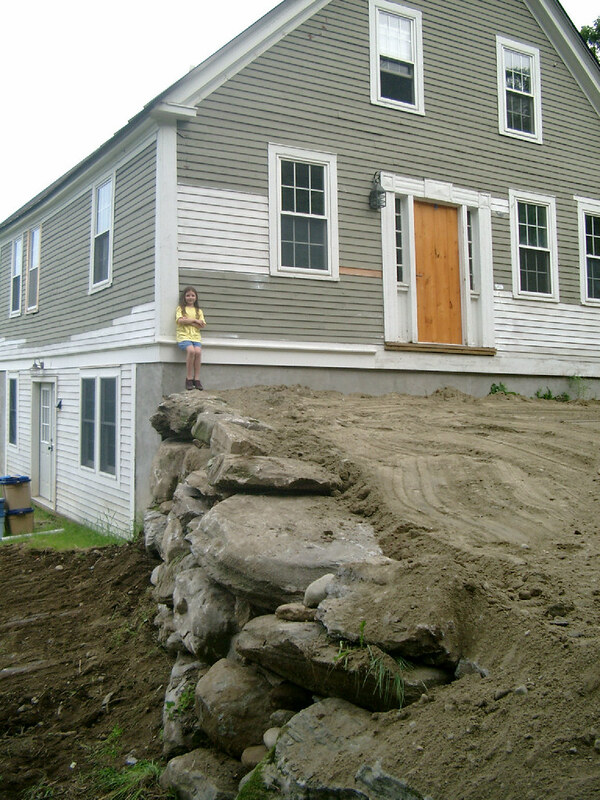 I want to get a nice picture of the front of the house straight on, without the excavator (which left shortly after I took the last of these pictures), but I’m waiting for the sun to cooperate and get behind me.